Arrive at Leh Airport and transferred to hotel. Check in the hotel and relax for some time. Rest of the day is at leisure for your individual activities. and you can also explore the surrounding on your own. Overnight stay at the hotel. 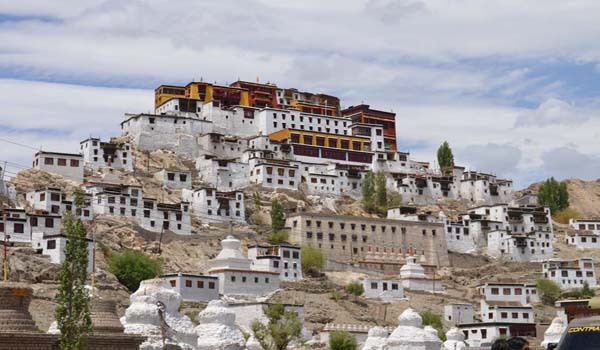 After Breakfast proceed to full day sightseeing of Leh Monasteries which includes shey Monastery, thiksey an impressive complex, stok palace and you can also enjoy the views at sindhu ghat. Later back to the hotel. Evening is at leisure for your individual activities. Overnight stay at the hotel. 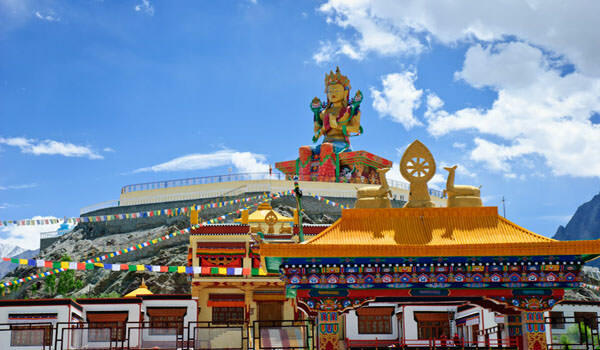 After Breakfast check out the hotel and proceed to Nubra Valley via Khardungla Pass – the highest motorable road in the world. On arrival at Nubra Valley check in the camp and relax for some time. Rest of the day is at leisure for your individual activities and you can also visit samstanling monastery. In evening back to the camp. Overnight stay at the hotel. After Breakfast proceed to half day sightseeing of diskit monastery and the sand dunes to enjoy a camel safari on direct payment basis. In afternoon check out the hotel and proceed to Leh. On arrival check in the hotel and relax for some time. Rest of the day is at leisure for your individual activities. Overnight stay at the hotel. 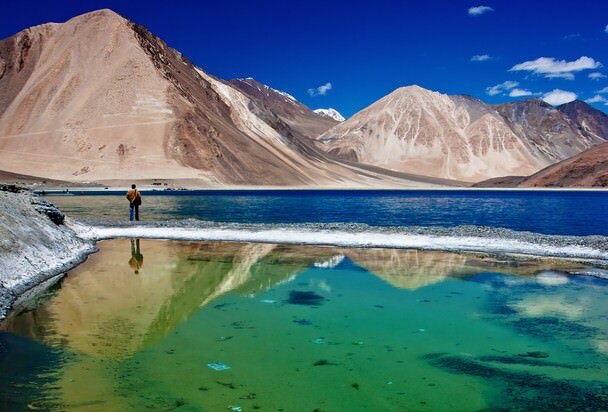 After Breakfast proceed to full day sightseeing of Pangong Lake via changla pass. Rest of the day is at leisure for your individual activities. Later back to the Leh. Overnight stay at the hotel. Meeting and assistance upon arrival at the airport. Accommodation in well appointed room/s for 05 nights (4N Leh & 1N Nubra Valley) as per the tour itinerary. Meals as specified in the tour itinerary. All transfers, sightseeing and intercity drives using exclusive non air conditioned vehicle inclusive of all tolls, permits, parking’s, fuel charges and driver allowance as per the tour itinerary only. Well trained, polite & knowledgeable driver with neat and healthy habits across the tour. 2 bottles (1 Ltr each) of Mineral water and Daily Newspaper in the car every day. Service Tax (currently at 3.09 %) or any other taxes that may be introduced, will be charged extra as applicable at the time of booking.